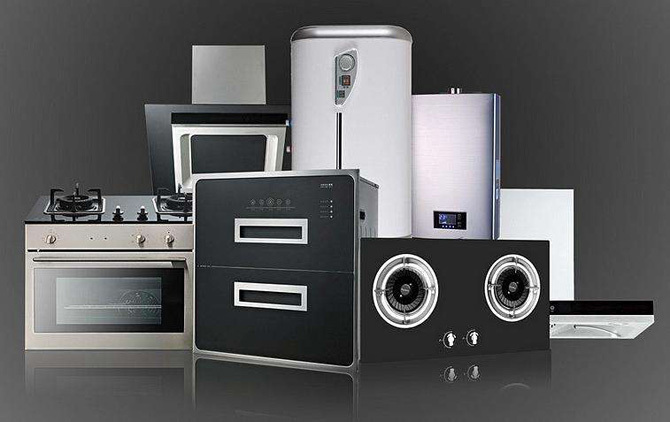 The essence of household appliances energy saving and emission reduction is how to improve energy efficiency. EPRI in the United States has pointed out that the global motor consumption amounts to 95 billion US dollars a year, accounting for 51% of all electricity, followed by lighting 19%, cooling/heating 16%, IT14%. Household electricity can be divided into two categories: Power conversion output (light, television) and motor drive (refrigerator, washing machine, air conditioner, fan, vacuum cleaner, etc. ), in which 70% of household electricity is consumed by motor drive. According to the data of Taiwan Institute of Engineering, if the motor efficiency is increased by 10%, about 10 billion degrees of electricity can be saved a year, which is equivalent to the electricity generated by a large and medium-sized nuclear power plant. If the global annual power generation is about 20 MW, it can save 2 MW of power consumption. This astonishing figure equates to the capacity of 200 large and medium-sized nuclear power plants. Moreover, driven by energy regulations and environmental issues, upgrading of industries and products is a necessary condition for sustained economic development. Nowadays, the drive motors of household appliances are divided into AC motor and DC motor, and DC motor is divided into DC brushled motor and DC brushless motor. Due to the progress of material science, the research and development of brushless DC motor (BLDC) and its production have made considerable breakthroughs in recent years. ATO high quality and high torque brushless DC motor has the characteristics of quiet, noise-free, maintenance-free, long life, small size and advantages. Especially high efficiency input/output ratio, it has excellent performance in energy saving and environmental protection. Brushless DC motor has higher technical level and entry threshold requirements than other motors (such as AC motor, DC brushed motor), so it has higher added value. At present, the most important point in the process of popularization of brushless DC motor is that it costs more than traditional motor. The concept of low-carbon energy-saving products is not well accepted by consumers. With the dual pressures of resource shortage and environmental protection, the government began to lead the promotion of energy-saving and efficient electrical appliances. The brushless DC motor is to meet the requirements of energy saving and low carbon. Modern kitchens are installed with electric devices everywhere. Currently, the BLDC motor plays an important role in these household appliances. In particular, it is very helpful for household appliances to adopt the BLDC motor to ensure the use process of kitchen electric devices to be visible and effective. For example, the blender, juicer, coffee machine, tea machine, electric knife, eggbeater, rice cooker, food processor, grain grinder, straight mixer, meat grinder and electric cutter can all adopt the BLDC motor for household appliances. Intelligentization of home living items has been an irresistible era trend. The BLDC motor can be applied to most intelligent home living items, including the exhaust fan and the electric warming oven with their overall performance guaranteed. At the same time, the BLDC motor is applicable to the circulating fan, humidifier, dehumidifier, air freshener, cold or warm air blower, soap dispenser, dryer, smart door lock and electric door and curtain. In home life, the floor is an important part requiring frequent cleaning. Different kinds of electric products targeted at floor maintenance for home use have been springing up in the market, including the carpet cleaner, electric dust collector, hand-held dust collector, floor polisher, etc. All of them can use the BLDC motor for control. What are white household appliances? White household appliances are household appliances whose color is white, and which can reduce people's workload. Washing machines and some kitchen household appliances are representatives of white household appliances. Therefore, white household appliances (particularly air-conditioners and refrigerators) play an important role in improving the material living standards. So far, the BLDC motor technology for the air-conditioner, refrigerator, air purifier, microwave heat dissipater, exhaust hood, bowl-washing hot-water pump, and washing machine hot-water pump has been highly mature.